George Mueller's Strategy for Showing God: Simplicity of Faith, Sacred Scripture and Satisfaction in God. George Mueller's life began as a faithless and dissolute youth. It ended as one of the most remarkable men of God, who daily trusted God's provision for thousands of orphans, who never asked for money for himself or his work, who withstood the trials of life, and who never failed to place God first in all parts of his life. 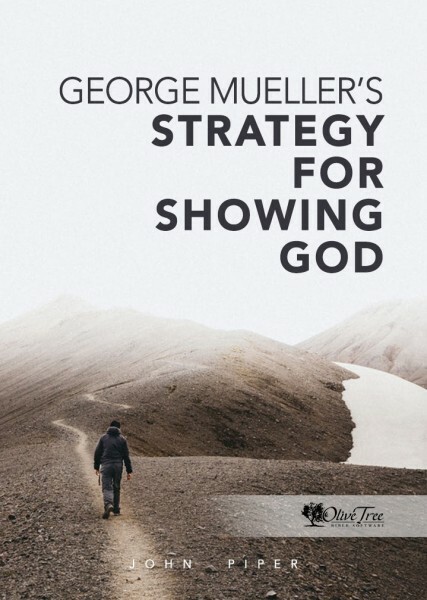 John Piper, in this short biography, maps out Mueller's life of faith and his usefulness to the Lord's work on the earth. Mueller's inspirational life has lessons for us all.